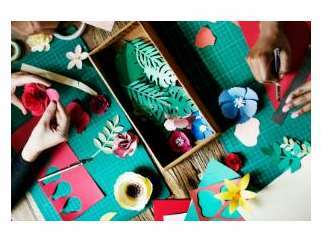 Connect and collaborate at this arts and crafts party with onsite childcare. Choose a project oand bring your own supplies/ We'll provide the space, community, instruction, and some wine. We'll also have some "resident makers" onsite who specialize in certain trades if you need tips or want to learn more. Because we are providing childcare, all must be in childcare or left at home (nursing babies 12 months and younger can be worn). Please reserve and pre-pay for your childcare at least 48 hours in advance (see below for more details).